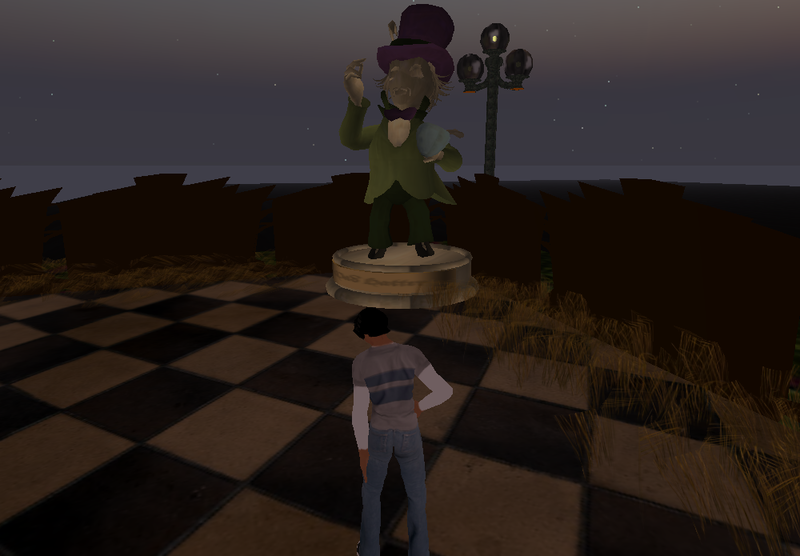 So after reading reviews on Second Life, I was a bit timid to give it a try. I am not stranger to gaming, but MMOGs (mass multi-player online games) are foreign to me. I like to just pick up and play. My avatar is very basic and after not being able to get my hairstyle down, I just went into exploring. First thing I wanted to do was check out a museum, but I did not really know what I was doing, so I wound up at a Star Trek museum. No offense to Star Trek fans, but it was weird and I do not speak Klingon. …and taking some food and drinks from a tavern in Dublin (as well as talking to an unhappy bartender). In We Live Here: Games, Third Places and the Information Architecture of the Future, Andrew Hinton says, “game environments have changed drastically over the last 15 years; they’ve gone from being a computer-nerd pastime to being a mainstream activity that’s relatively integrated into the lives of professional adults.” As a retro-gamer, I initially had doubt in thinking that games would be considered part of daily life for the masses. After playing Second Life however, I believe that this statement holds true. Imagine the possibilities. How great would it be for me to visit the Pro Football Hall of Fame without making the drive out to Canton, Ohio? Click on a player, cue up a “hypercard” as Stephenson writes about and get a “complete biography, read by the player himself, in stereo digital sound.” Would this hurt tourism in general? Possibly, so I think a lot of media giants may think of innovations like Second Life negatively. 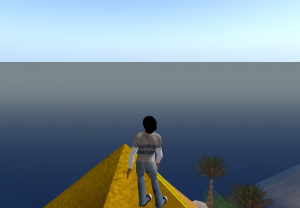 Like others have said, Second Life may not be “the one” in terms of altering our lives, but it is an impressive technological achievement. 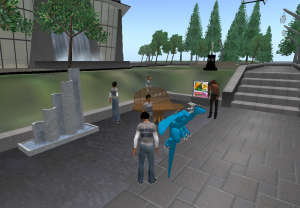 While some corporations might go kicking and screaming into innovations like Second Life and I know I won’t. Hinton, A. (2006). We live here: Games, third places, and the information architecture of the future. ASIS&T Bulletin, August/September.